Be the first to know when Christian Kindle Books are on sale! What do you like to read? Please comment on our Facebook Page and let us know what Christian Kindle books you would like to see more of! Have a favorite author? Tell us! Inspired Reads needs YOU to help spread the word! Please LIKE and SHARE our posts on Facebook so more people will benefit from these great book deals! For non-U.S. readers, Kindle content availability and pricing will vary. 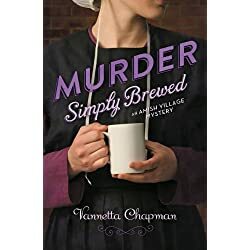 When the coffee shop manager is murdered in Middlebury’s Amish Artisan Village, two women from different walks of life must join together to solve the mystery. Spring has arrived in Middlebury, Indiana, and Amber Wright is optimistic about the growing profit from her collection of Amish shops—until she receives a call that Ethan Gray is dead. Hurrying over to A Simple Blend, she finds a solitary hole in the front window and the store manager lying next to the espresso machine, dead from an apparent heart attack. All the money is still in his register. 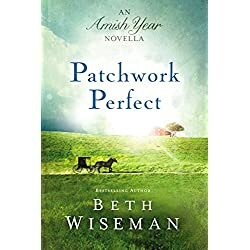 When Amber hires a young Amish woman, Hannah Troyer, to take over the shop’s duties, the two women become fast friends—as well as amateur sleuths. The police believe Gray’s death is a by-product of vandalism, but Amber and Hannah aren’t convinced. Clues that don’t add up, a neighbor who is pulled into the midst of the investigation, a town with secrets to hide, and a blossoming romance—all will combine to push Amber and Hannah into unfamiliar roles in order to reveal answers to the mysteries around them. Eli Byler has been a widower for two years when he chooses to make a fresh start in Paradise, Pennsylvania. As Eli juggles the admiration of two women, he meets Miriam Fisher—the most unconventional Amish woman he’s ever met. She doesn’t fit the mold for what Eli is looking for, but it isn’t long before Eli realizes that Miriam is everything he wants. But Miriam has no plans to get married—ever. Will Eli be able to change her mind? At twenty-eight, Alethea Sutherton is past her prime for courtship; but social mores have never been her forté. She might be a lady, but she is first and foremost a musician. In Regency England, however, the violin is considered an inappropriate instrument for a lady. Ostracized by society for her passion, Alethea practices in secret and waits for her chance to flee to the Continent, where she can play without scandal. 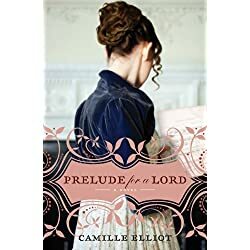 But when a thief ‘s interest in her violin endangers her and her family, Alethea is determined to discover the enigmatic origins of her instrument … with the help of the dark, brooding Lord Dommick. Scarred by war, Dommick finds solace only in playing his violin. He is persuaded to help Alethea, and discovers an entirely new yearning in his soul. It was an absolutely perfect day… until everything went absolutely perfectly wrong. Kent Anthony is a brilliant software engineer who is cashing in on a brilliant career. He’s finally living the idyllic life, far from thoughts of theft and murder and other kinds of horrible criminal behavior. He’s left his past far behind… or so he thinks. 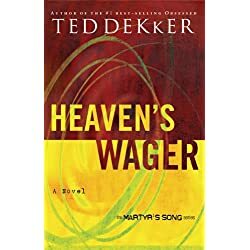 Ted Dekker delivers a fascinating story of the almost perfect crime, interwoven with a tale of bittersweet love that is almost enough to save a soul. A story that will bring you face-to-face with a hidden world more real than most people ever realize; a world where the unseen is more powerful than anything seen. 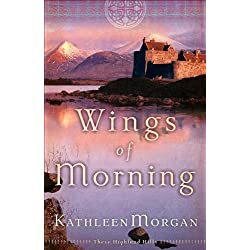 Orphan heiress and Scotswoman, Regan MacLaren, is a bride of but one day when her husband is murdered. As a result, Regan loses her memory and with it her place in the world. Laird and warrior, Iain Campbell, is waiting for the love he knows God will bring him. But a woman near death and without a memory isn’t quite what he expected. With their clans feuding, Regan and Iain should never have met. But, when their paths cross, they come to know and love each other–only to encounter more obstacles in their way. Iain’s a suspect in the murder of Regan’s husband, and he soon becomes a stumbling block to unholy ambitions that may well lead to more deaths, including his own. Will betrayal and suspicion force them apart forever? Or can their love help heal their clans and their land? Leslie Williams hurries out to her car on a typical workday morning—and discovers a dead body inside. Why was the corpse left for her to find? And what is the meaning of the message pinned to its chest? 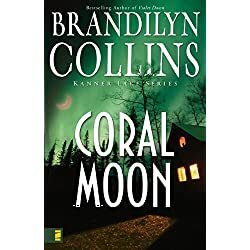 In Coral Moon, the senseless murder of a beloved Kanner Lake citizen spirals the small Idaho town into a terrifying glimpse of spiritual forces beyond our world. What appears true seems impossible. Or is it? When Katherine "Kit" FitzGilbert turned her back on London society more than a decade ago, she determined never to set foot in a ballroom again. But when business takes her to London and she’s forced to run for her life, she stumbles upon not only a glamorous ballroom but also Graham, Lord Wharton. What should have been a chance encounter becomes much more as Graham embarks on a search for his friend’s missing sister and is convinced Kit knows more about the girl than she’s telling. 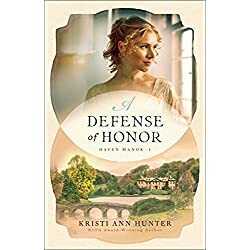 After meeting Graham, Kit finds herself wishing things could have been different for the first time in her life, but what she wants can’t matter. Long ago, she dedicated herself to helping women escape the same scorn that drove her from London and raising the innocent children caught in the crossfire. And as much as she desperately wishes to tell Graham everything, revealing the truth isn’t worth putting him and everyone she loves in danger. Don’t have a Kindle? Get your Kindle here, or you can download a Free Kindle Reading App for your computer or mobile device! To receive the latest news in Christian Kindle Books on a Budget from Inspired Reads – Subscribe by Email today!